bent easy (up to 90°) in all directions. 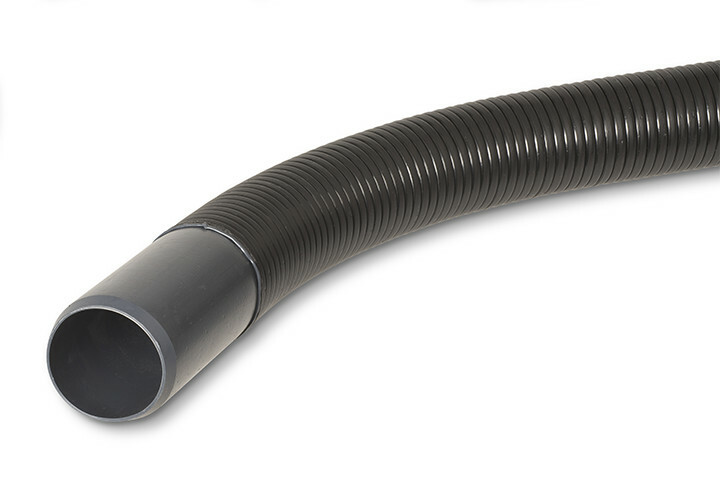 The bends are made from High Density Polyethylene (HDPE) and fit seamlessly on to all common PVC and PE tubes. The bends are provided with a sleeve and a taper key. The flexible bends are virtually watertight. Because they are as good as smooth on the inside, cables can be pulled through easily. Because of the precise method of production, the bends are extremely stable and have a high precision in diameter. - Very good dimensional stability. - Dimensioning in accordance with DIN, so durable and suitable. Flexible bend are available in the diameters: 63, 75, 90, 110, 125, 140 and 160 mm. 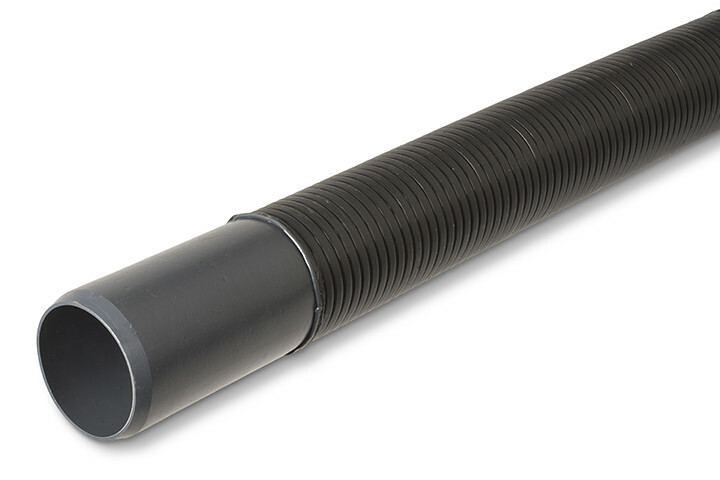 Our standard lengths vary between 800 and 2.420 mm. Tailor-made lengths are also possible. The production colour is black. The minimum radius of the bend (r) varies between 200 and 550 mm. Do you have special wishes concerning the dimensioning? Electroplast is happy to inform to you about a fast, efficient supply of made to measure flexible bends.